If you're like us, there's only one thing out there that you love as much as the color green. New pants! But for so long, we've all been forced to choose between getting new pants, and getting green pants, since from what we've been told, the process to turn things that radiant green color in nature tends to make them not very "new" anymore. Will there ever be a way to wear bright green trousers that still have that "new pants" smell?!? The answer is yes (obviously), when you slip on your brand-spanking-new Green Tuxedo Pants! These adjustable slacks are for the dapper gentleman with a taste for things that make him look like he has frog legs. 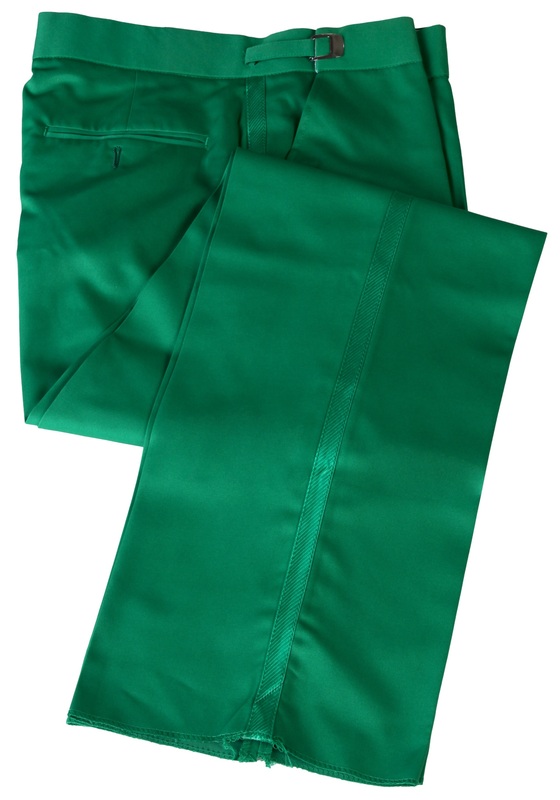 Grab yourself a pair to go with your kelly green dinner jacket (and possibly top hat), and never be forced to choose between new pants and green pants ever again!